When compounded by the pharmacist, each mL contains 10mg of metoprolol tartrate. The FIRST-Metoprolol unit-of-use compounding kit has been made available by CutisPharma. The prescription kit includes 3g of metoprolol tartrate powder for oral solution and a grape-flavored diluent (10oz). When compounded by the pharmacist, each mL contains 10mg of metoprolol tartrate. 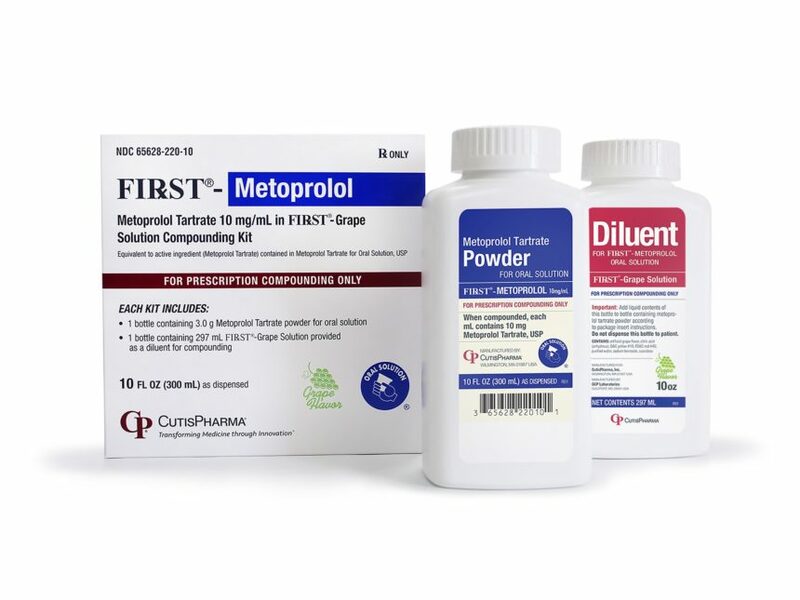 “The addition of FIRST-Metoprolol to our overall portfolio of FIRST Unit-of-Use Compounding Kits has been widely anticipated by our customers and will provide pharmacists with an expanded range of high-quality alternatives to traditionally compounded oral liquid suspensions and solutions,” said Mike Radice, CutisPharma’s Chief Commercial Officer. Metoprolol tartrate is indicated for the treatment of hypertension, for the long-term treatment of angina pectoris, and for the treatment of hemodynamically stable patients with definite or suspected acute myocardial infarction to reduce cardiovascular mortality. In addition to the 300mL size, CutisPharma will also be launching a 90mL size of FIRST-Metoprolol on February 18, 2019.